I use to spend hours perusing magazines. Even as a young girl I loved checking out the latest in my favorite magazines. After reading them I would cut out photos / images of outfits I loved and makeup I wanted, etc., and glue them to sheets of paper. I was doing before I even knew what it was called. I always thought I was a woman before my time. And as a sign of the times, I haven’t read a physical magazine in a long time. I’m a techie. A geek girl. I spend way too much a lot of time online. If I’m not connected with my laptop, I have my iPad or iPhone with me. I rarely read a physical book (except cookbooks – love cookbooks) anymore. I use my iPad for all my reading. It’s just more convenient. Not to mention, it does save the trees… so I’m being environmentally conscientious. I love all the fitness articles. But I’ve really been enjoying the beauty articles a lot. 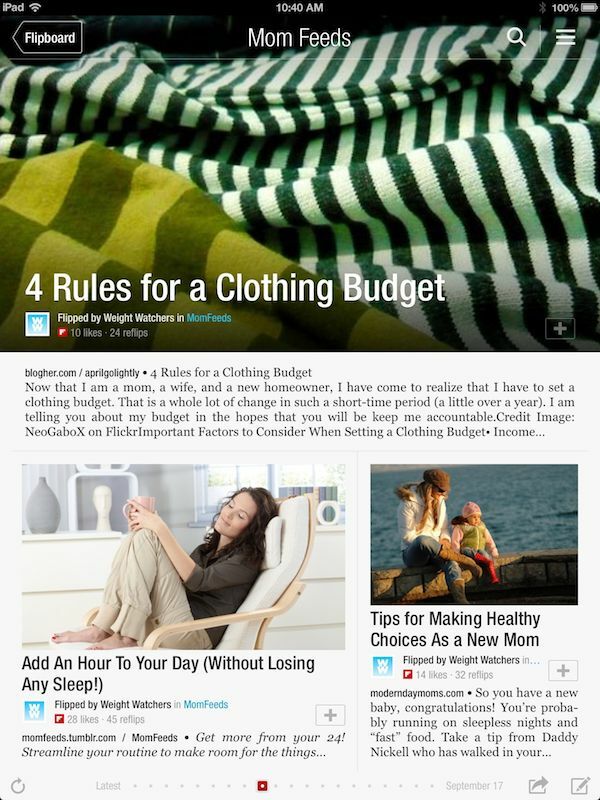 I like finding beauty and fashion tips in one place that are in a bite-sized and easy to read format. And I’ve already found some healthy, delicious recipes to try soon, too. Add an hour to my day, without losing sleep? I need this article! I’m always looking for slow cooker recipes! Yay! 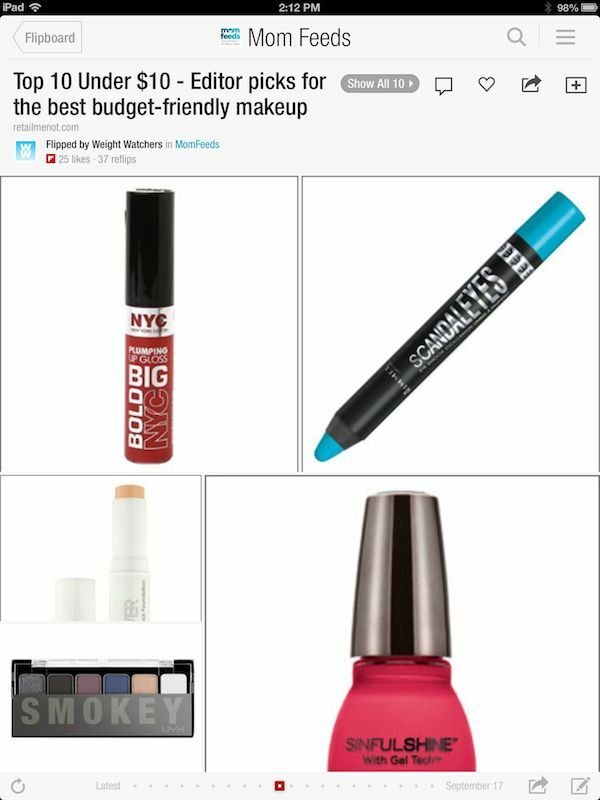 I love finding “good” budget-friendly makeup! Weight Watchers, the world’s leading provider of weight management services, has helped millions of people lose weight, and knows what we busy moms want and need. WeightWatchers.com not only provides innovative subscription weight management products over the Internet and is the leading Internet-based weight management provider in the world, they now give us MomFeeds. If you’re like me, a mom on the go, but always has her gadgets with her…. you’re going to love MomFeeds. Great news! 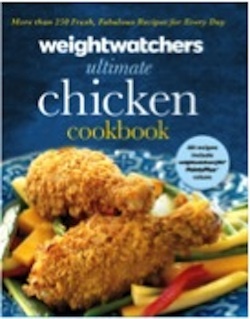 I have 2 Weight Watchers Ultimate Chicken Hardcover Cookbooks (valued at $29.99 each)to give away! Open to U.S. residents ONLY! Ends 11/8. Enter on the Rafflecopter form below. Good luck! Disclosure: I was compensated and received a 3-month trial subscription to Weight Watchers Online. All opinions are 100% mine and may differ from yours. I will only endorse companies, products, and services that I believe, based on my own experiences, are worthy of endorsement. Weight Watchers provided the cookbooks but did not design nor administer this sweepstakes. oh my! 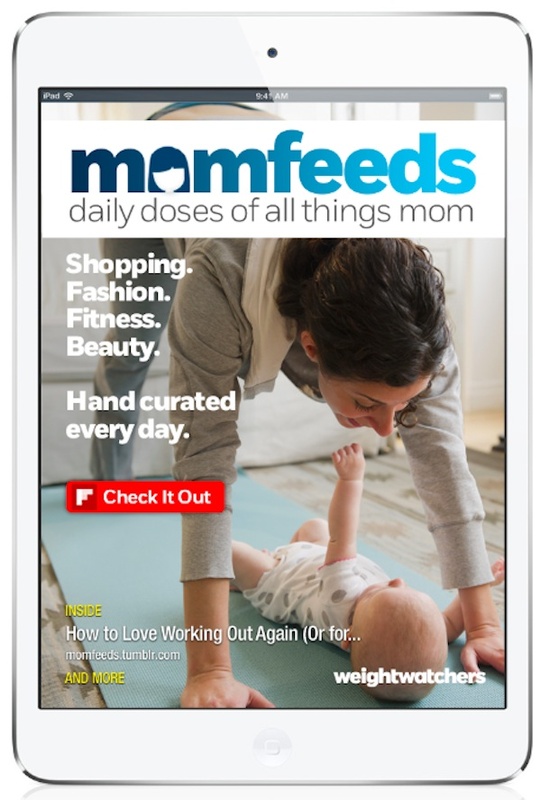 MomFeeds looks like it’s something I would enjoy reading. Definitely going to check it out! I remember my mom was on WW. Luckily I’ve not had to go that route in my life…but I hear only great things about the program. 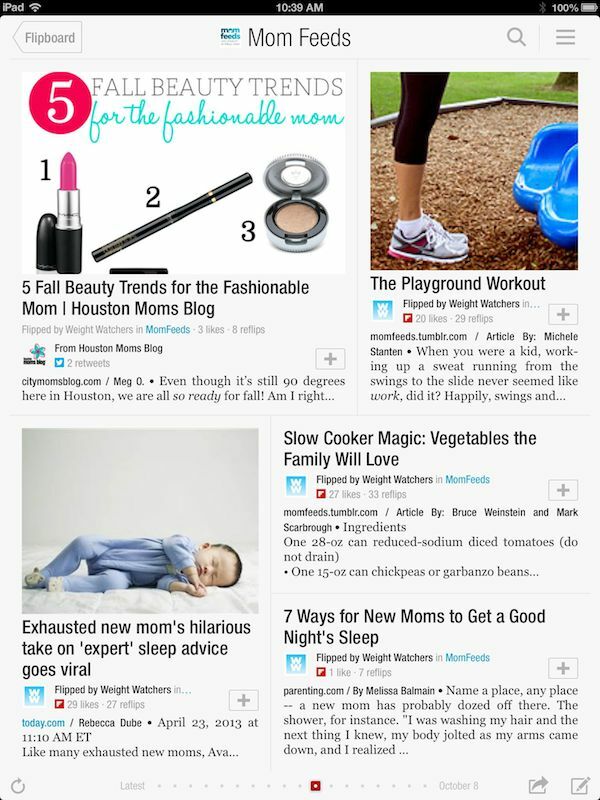 I am a mom…Again and love these ideas, especially the one working out above her baby. I hadn’t thought of doing that. Great article – thanks for sharing with us. I love to read for my “me” time. This sounds like a great addition to the already great program. I’m going to check this out and share it with my sister. to watch a good movie with some good food by myself. I love to chat and comment on one of the sites for Fibromyalgia. We help each other everyday by communicating and encouraging each other to go on with this disability disease.Have a Blessed Day! i have been dying to try weight watchers…heard the best things! I love to sneak off for a pedicure…just relax and I feel so much better about everything when I am finished! Cool app! I need to get a tablet. My favorite me thing to do is sit at the computer and read blogs! My favorite me time thing is to watch a movie with my husband. Reading is my favorite way to spend “Me Time”. I carry a book everywhere just in case there’s a few free moments. This will help my mom, I’ll have to tell her about it! Thank you for sharing. Momfeeds is amazing. I’m so happy to have it with my weight watchers. MomFeeds has such great information that is useful to me! A really hot bath for and hour with water and ice chips next to me. My favorite thing to do is take a bubble bath. No knocking on the door! My favorite “me” thing to do is to go for a nature walk to take pictures. I’m really like this digital magazine. Makes it so much easier to get a quick read while on the go.